目的 探讨建立心肌缺血和动脉粥样硬化(atherosclerosis, AS)斑块内血管新生双靶点小鼠模型的有效方法?方法 C57BL/6 J 小鼠10 只作为对照组, ApoE-/ - 小鼠10 只作为模型组?对照组喂普通饲料,模型组喂高脂饲料?模型组高脂饲料喂养8 周后,皮下注射异丙肾上腺素100 mg/ kg,连续2 d,对照组皮下注射等量生理盐水?4 周后,检测血清总胆固醇(total cholesterol, TC)?甘油三酯(triglyceride, TG)?低密度脂蛋白胆固醇(lowdensity lipoprotein cholesterol, LDL-C)和高密度脂蛋白胆固醇(high-density lipoprotein cholesterol, HDL-C)水平;HE染色观察主动脉和心肌不同区域的病理形态学变化;CD31 免疫组化染色检测主动脉和心肌组织不同部位的新生血管密度?结果 模型组血TC?LDL-C 水平显著高于对照组( P <0. 05),而HDL-C 显著低于对照组( P <0. 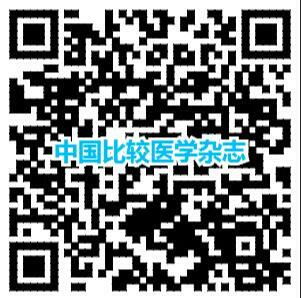 05);HE染色显示模型组主动脉形成了典型的AS 病理学改变;皮下注射异丙肾上腺素4 周后,模型组心肌组织HE 染色可见典型的心肌梗死病理改变;CD31 免疫组化染色结果显示,模型组主动脉新生血管密度显著高于对照组( P <0. 05),模型组心肌缺血区的新生血管表达最丰富,显著高于心肌梗死区和正常心肌组织区( P <0. 05)?结论 ApoE-/ -小鼠在高脂饮食下,通过皮下注射异丙肾上腺素造成心肌梗死,能够成功建立心肌缺血和AS 斑块血管新生的双靶点小鼠模型? Objective To explore an effective method for establishing a dual-target mouse model of angiogenesis in myocardial ischemic and atherosclerotic plaque. Methods Ten C57BL/6 J mice were fed basic forage as a control group, while ten ApoE-/ - mice were fed high-fat forage as a model group. After 8 weeks, the model group was subcutaneously injected with isoproterenol at 100 mg/ kg once a day for 2 days, while the control group was subcutaneously injected with the same amount of physiological saline. Another 4 weeks later, the serum levels of TC, TG, LDL-C, and HDL-C were measured. HE staining was used to estimate the pathomorphological changes in aortic tissues and different regions of myocardium. Immunohistochemical staining was used to measure the density of new vessels in aortic plaques and different regions of the myocardium that were marked by CD31. Results The levels of serum TC and LDL-C in the model group were significantly higher than those in the control group ( P < 0. 05), while HDL-C was significantly lower than that in the control group ( P < 0. 05). HE staining revealed pathological changes typical of AS in the aorta of the model group.After 4 weeks of the subcutaneous injection of isoproterenol, pathological changes typical of myocardial infarction were observed in HE staining of myocardial tissue in the model group. CD31 immunohistochemical staining showed that the density of new vessels in aorta of the model group was significantly higher than that in the control group ( P < 0. 05). The expression of neovascularization in the myocardial ischemia zone was the highest in the model group, which was significantly higher than that in the myocardial infarction zone and normal myocardium zone ( P < 0. 05). Conclusions ApoE-/ - mice with myocardial infarction induced by subcutaneous injection of isoproterenol under a diet of high-fat forage can be successfully used to establish a dual-target mouse model of angiogenesis in myocardial ischemia and atherosclerotic plaque.